These activities will certainly inspire you! Skiing is by far not the only thing that awaits you on your winter holiday in Gastein: Whether romantic, sporty or relaxing! 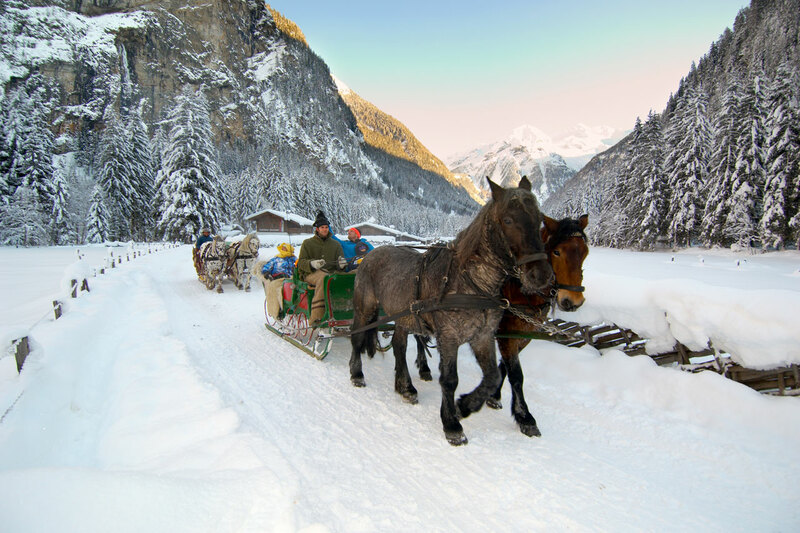 A memorable evening is guaranteed with a horse-drawn sleigh ride in Dorfgastein. Take a seat in a comfortable sleigh wrapped in warm blankets. The driver takes the reins and all you’ll hear is the snorting of the horses and the jangling of the bells on the bridle. If you’d like, the sleigh driver will be happy to share stories and tales from the region. Things are a bit more adventurous when it comes to tobogganing. In Dorfgastein you have a choice: easily take the cable car or take an atmospheric winter walk up to the start of the toboggan run. After gaining a little strength at the chalet, the fast ride down into the valley begins. The run is a real treat for the entire family. Thanks to floodlights, even evening descents are possible! Are you in the mood for even more adventure? Gastein is ready! Hover over the highest peaks, marvel at the imposing backdrop of the Alps and feel the freedom high above the earth while hang gliding in the Gastein Valley. For beginners, there is the opportunity to do a tandem flight with a qualified instructor. Even when ice climbing, your adrenaline level will rise to new heights. The fascinating icefalls in the Gastein Valley offer the best routes for beginners, intermediate and advanced climbers. With the help of an experienced ice climbing guide, getting to the top is a possibility for anyone! 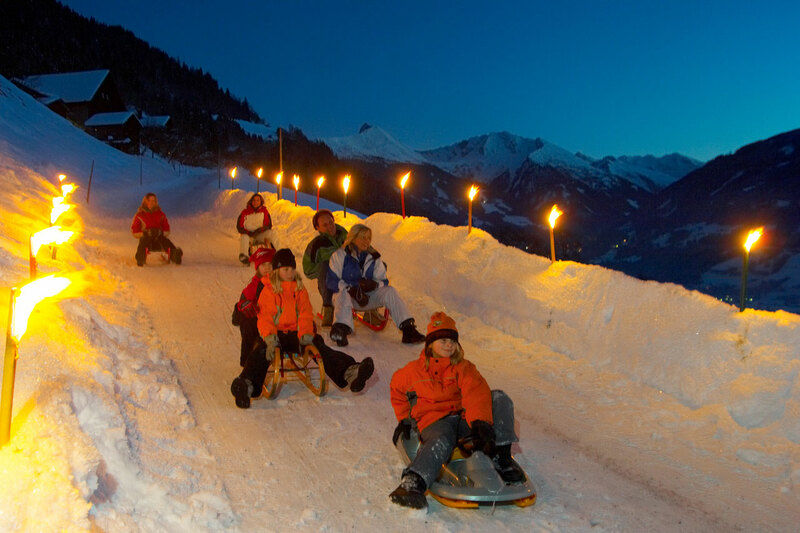 The Fun Centre at Stubnerkogel is a fixture for kids on a winter ski holiday in Gastein. You will find a children's cinema, rock climbing wall, a ball pool, foosball and game consoles in an area over 300m². Admission is free with a valid ski pass. 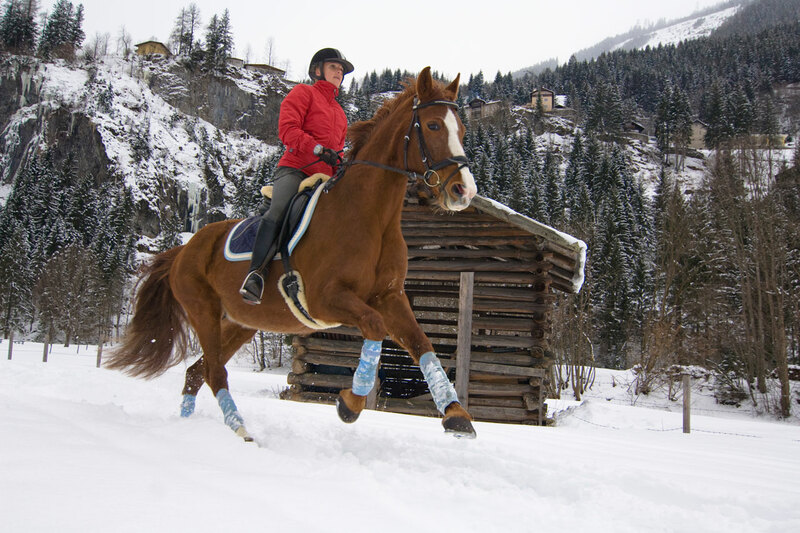 The Gastein Valley inspires you in many ways in winter - one way being with its thermal springs. Children can look forward to action-packed entertainment and adults can relax in the hot thermal water or use a wide variety of spa facilities. If the younger guests have already reached their bedtime, older guests can enjoy a little après-ski. Not for nothing, the Gastein Valley in the state of Salzburg is known for its nightlife. Numerous sports and cultural events, such as the "Jazz on Snow" Festival, guarantee a variety of entertainment. And at Römerhof, we make sure that stylish evening entertainment is always available in our cosy tower bar, located in the “Römerturm” roman tower.